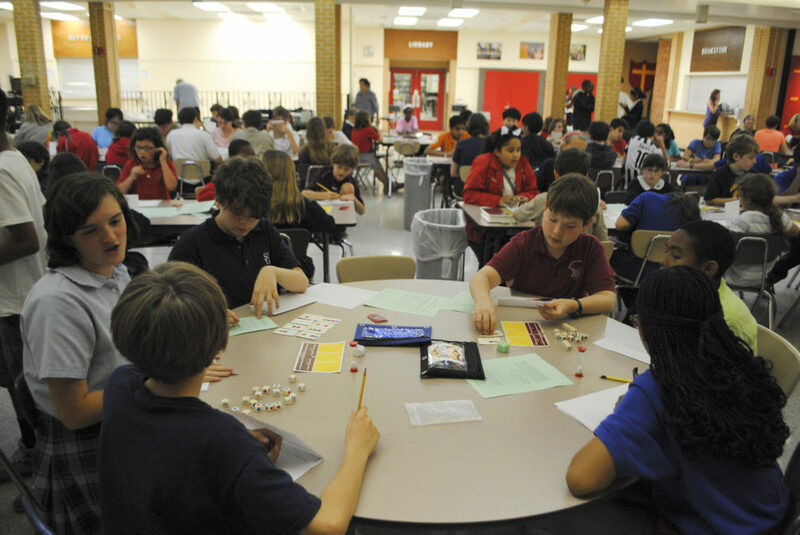 We received a strong response (63 families with possible interest) from our survey of parents, so the New Orleans Academic Games League will host its first summer camp at Brother Martin High School from June 13-17 for veteran players who will be in grades 5 through 8 in 2016-17. Equations training will take place in the morning and On-Sets sessions will be held after lunch. See the following two documents for further details regarding camp registration and deadlines. Hopefully, our summer camp will be an important annual edition to NOAGL’s calendar of events.